One of the oldest cooking techniques in existence, the art of grilling meat on a skewer was derived from medieval Turkish soldiers who used their swords to cook meat over open fires. An Adana kebabi from the south of Turkey is a savory mixture of minced lamb, cumin, cayenne, black pepper, dried oregano and mint. The meat is shaped into a long cylindrical shape like a long hot dog or sausage, then pierced onto a long metal skewer and grilled in one piece. It is served removed from the skewer and cut up. Adana is named after the 5th largest city in Turkey, Adana. There are very strict guidelines and inspections that must be passed by The Adana Chamber of Commerce in order to be an authentic Adana kebabi vendor. Adana kebabi has to be made from the meat of a male lamb. The skewered meat, must be roasted on fireless, charcoal embers exclusively from oak wood. The skewers are frequently turned during grilling using caution so the melting fat is not dripped on the embers causing a flair up. The Adana is served on flat bread by pressing the meat off the skewers after cooking; when wrapped and served in a flat bread, it's called a Dürüm. Authentic accompaniments served with adana include; charred tomatoes, green or red peppers, onions and parsley seasoned with sumac or lemon pepper seasoning, and warm hummus. Mix the meat with the cayenne, cumin, oregano, parsley, mint, black pepper, and salt in a bowl. Add the egg white and continue to combine until the mixture is well blended. Grease skewers with cooking spray or oil. 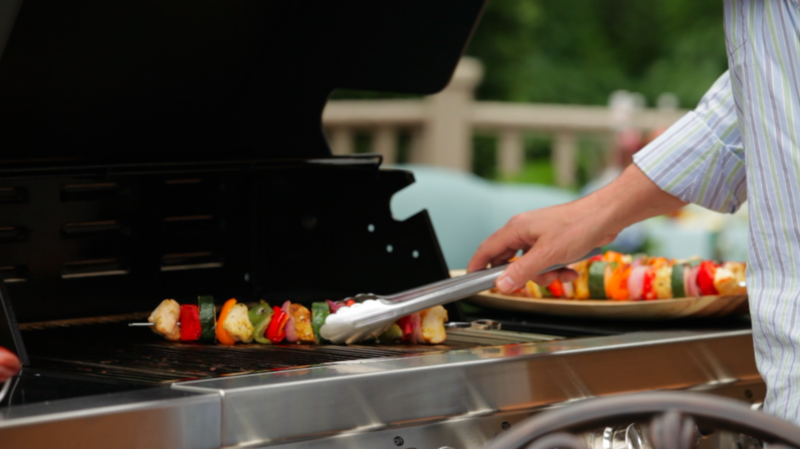 If possible, use long, flat metal skewers. Divide the meat mixture into 2-4 (depending on the length of skewer), 2 inch wide thick sausage shapes. Push the skewer through the middle, lengthwise, and squeeze the mixture up and down the skewer, spreading it evenly. Repeat with the other skewer. Cover and place in refrigerator to chill for 30 minutes. This will help the meat hold together. When ready to grill, brush the outside of meat with olive oil. Place skewers on very hot grill. Grill 5 minutes, turning frequently, or until cooked through. Serve immediately with sides of yogurt, fresh lemon, fresh chopped mint, and an onion & parsley salad.